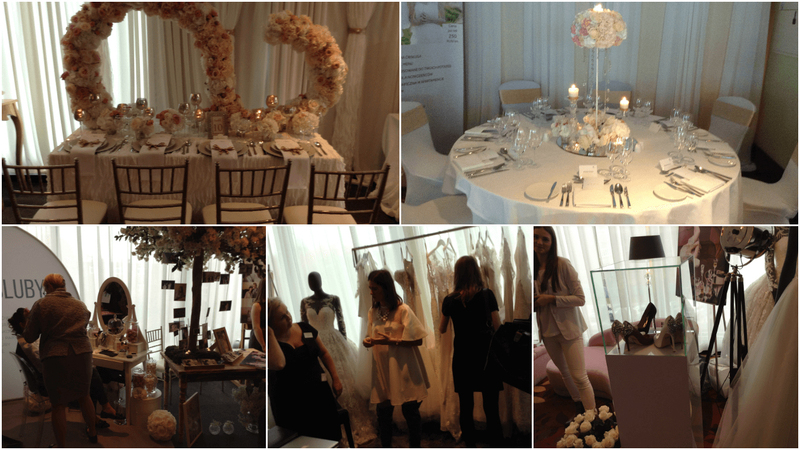 For me, Wedding Show Powiedzmy Tak 2015, was really an enjoyable and quite surprising experience. Carefully prepared workshops, beautiful, best polish vendors stands, perfect organization and the variety of events made the show a pleasing adventure not only for brides and groom but also wedding planners. Something like that did not happen in Poland before. Let’s start from the fashion. Wedding Fashion Shows simply took my breath away. As I am privately a fan of Atelier Juliette designs, which are so elusive, sensual and feminine, I simply couldn’t get enough of them. I am really proud that polish wedding designers such as Juliette Atelier, Atelier Desirer and Laurelle, lately develops in such a beautiful way, keeping up with world fashion & standards. Obviously, I couldn’t not to mention Viola Piekut 2015 collection premiere that took place this weekend, which appeared to be a genuine, thrilling show! Wedding and evening dresses of our Polish Vera Wang were presented by recognizable polish celebrities such as: Joanna Jabłczyńska, Aleksandra Kielan & Dorota Czaja. If you would like to see a little bit more, I really recommend the video below, which not only present this remarkable collection but also reviles the wonderful atmosphere of the show. I really do admit one thing – it was organized with genuine class and splendor. Quite impressing. What’s more? On the second floor, besides the vendor’s stands we could find TLC Polska zone, that was really more exciting and informative that one could have fought. The future brides had a unique chance not only to try on some of the most stunning wedding dresses but, also to find a little bit about how to choose a perfect wedding underwear or how to bring out their body virtues. All that coming straight from the most recognizable wedding designers. A warm and supportive atmosphere of the room created a perfect opportunity to learn the most important thing when it comes to bridal look – what to show and what to hide, in brief: how to pick a perfect wedding gown for every body type. I really appreciate the superb idea of involving the audience, because we believe, that no model can reveal and teach us more about some true bridal doubts and fears, that the real future bride. 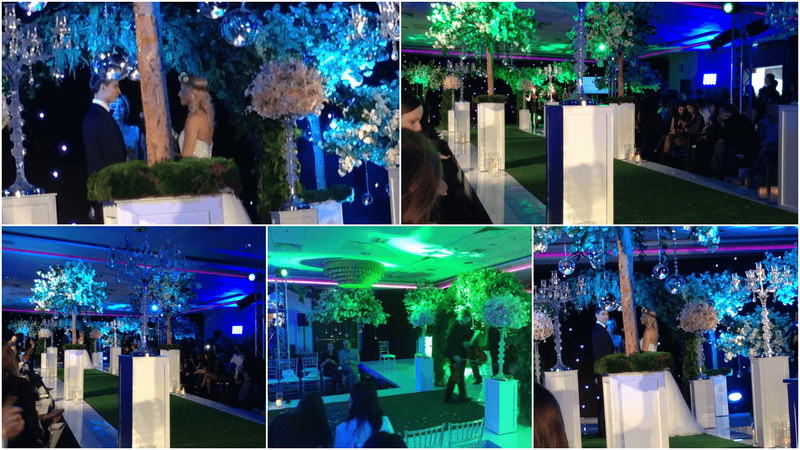 The highlight of the Saturday was a life wedding show which charmed me mostly by the amazing décor made by smiling Rock&Flowers team. Just look at that! The light, the flowers and the crystals. Simply astonishing from the first step you took into the ball room. What’s more, staging of the humanistic wedding was an interesting way to show the advantages of this kind of ceremony (mostly yet unknown in Poland), which has no limit in its variety. The show started from decorating the alley, went trough the wedding wovs and ended with muffin wedding cake for all of the guests. The most exciting vendors stands? The Spearside – where every groom to be could have his hair and beard stylized or the photo booth, where by taking a picture everyone could try how one of the most popular wedding fun works from the inside. As I am a huge fan of sweets I really enjoyed the opportunity to take a glimpse of the most marvelous wedding cakes, which finally picked up the world’s sweet fashion. There was also a place for relaxing with free pineapple/watermelon drinks from Bols. But what was the most interesting is the remarkable variety of expert panels and workshops: from wedding make-up, candy buffet (Galeria Słodkości), creating a wedding theme (Rock&Flowers), making your own stationary (Kartalia) or favors (Sztukateria), through the wedding menu choice (Marriott’s Chief – Witek Szczechura) up to first dance (Dance Agency) & video workshops (MIPU) and so much more. 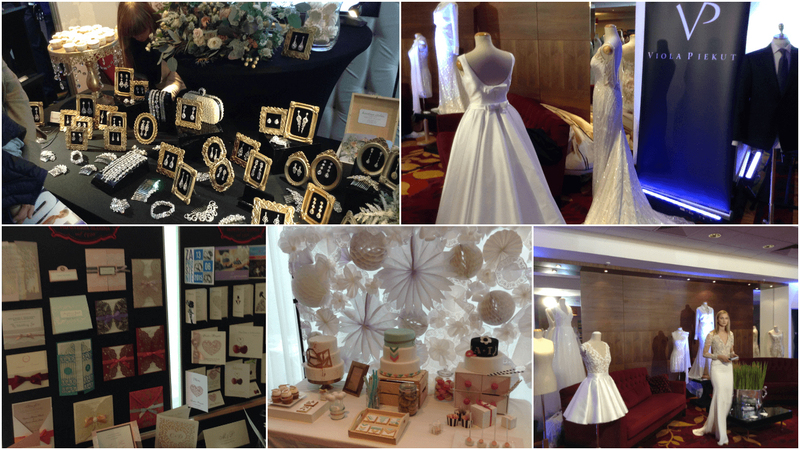 At last the wedding show was not only a chance to make oneself acquainted with vendors but also provided an opportunity to learns something about organizing you own wedding. To sum up – although some of the guests complained a little bit about the crowd or some other shortcomings or delays of the event and it is possible to find another Show that gather more vendors, the Wedding Show PowiedzmyTak is definitely the most modern, diverse, interactive, colorful and best-organized wedding event. Add to that a beautiful emcee Agnieszka Popielewicz, the luxury of the Marriott Hotel and there you have it. 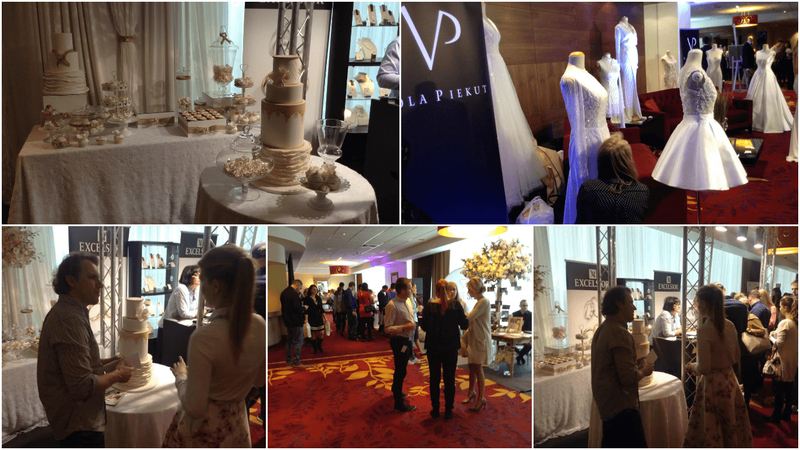 This weekend proved that it’s possible to organize the recognizable, world-class wedding show, even here, in Poland. Once again – appreciation for the pleasing organization. Such little details as floor and workshop plan handed to every guest, as well as the digital display of the events, really made the day much easier and pleasurable.